Children and youth comprise nearly 39% of the Indian population and are often considered the future demographic dividend of the country. The mental health and well-being of these young people are a pressing challenge in current times. The present study aimed to replicate the widely popular positive psychology interventions of Seligman et al. 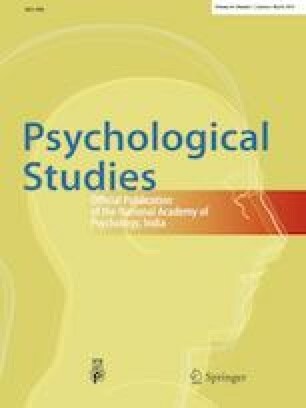 (Am Psychol 60:410–421, 2005) in a different culture and demographic groups of Indian adolescents. 372 students (MAge= 12.73, SD = 0.98, age range 11–13 years, 56% male) from two schools participated in the study. Participating classrooms were randomized across 5 interventions (Three good things in life, Gratitude visit, You at your best, Using signature strengths and Using signature strengths in a new way) and 1 placebo control group (Recalling early memories). Each exercise was completed over 1 week. Self-reported measures of well-being, affect, happiness and depressive symptoms were obtained at pre- and post-intervention. Participants who undertook the Gratitude visit and signature strength-based interventions reported gains in well-being, life satisfaction and happiness at post-test. Interventions involving only self-reflection and journaling showed no statistically significant impact on outcome variables. None of the interventions led to perceived gains in scores of depressive symptoms. We are grateful to Professor Martin Seligman and his team for permitting the use of these interventions and sharing the exercise details. We also acknowledge the support received from VIA Institute on Character for permitting the use of the VIA Inventory of Strengths for Youth (Peterson & Seligman, 2004; Park & Peterson, 2006) in its offline format. We are grateful to them for their timely support in guiding the scoring process and resolution of queries along the way. Fleming, A. W. (2006). Positive psychology “three good things in life” and measuring happiness, positive and negative affectivity, optimism/hope, and well-being. (Master’s Thesis). 32. http://digitalcommons.brockport.edu/edc_theses/32. Accessed 27 Nov 2017. World Health Organization. (2017). Mental health status of adolescents in South-East Asia: Evidence for action. Retrieved on May 8, 2018 from http://apps.who.int/iris/bitstream/handle/10665/254982/9789290225737eng.